In 1729, Rev. 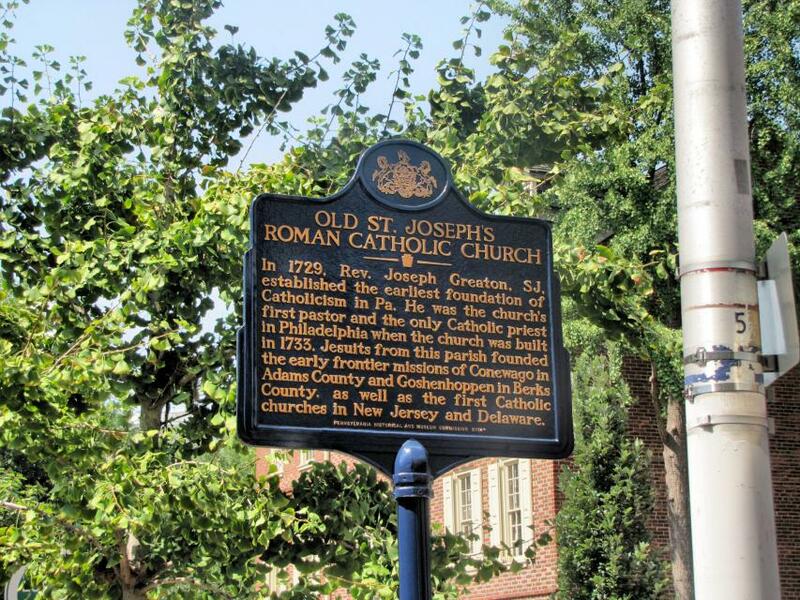 Joseph Greaton, SJ, established the earliest foundation of Catholicism in Pa. He was the church's first pastor and the only Catholic priest in Philadelphia when the church was built in 1733. Jesuits from this parish founded the early frontier missions of Conewago in Adams County and Goshenhoppen in Berks County, as well as the first Catholic churches in New Jersey and Delaware. This marker can also be identified by its HM code. You can use the hashtag #HM1KL9 in tweets, and any other place where you might refer to this marker, including when searching on this site.